On Friday, January 25, Ekene Som Mekwunye's movie will make its cinema debut on January 25, 2019. The movie titled Light in the Dark features the likes of Joke Silva, Rita Domini, Ngozi Nwosu, Saidi Balogun, Kiki Omeili, Nonso Odogwu, Abimbola Ademoye, Big Mickey and many more. 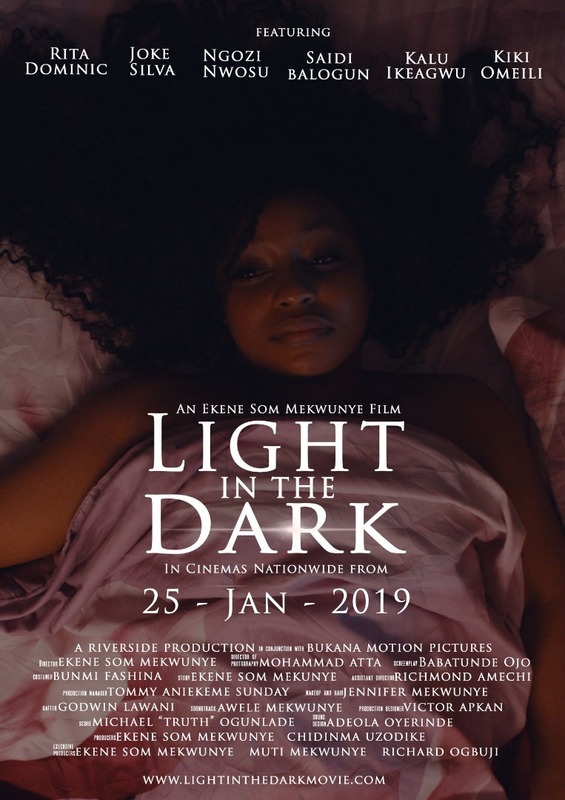 'Light in the dark' tells the story of two lovers, who against the wish and permission of their mothers became a couple and began a family and are willing to go to any length for their love.